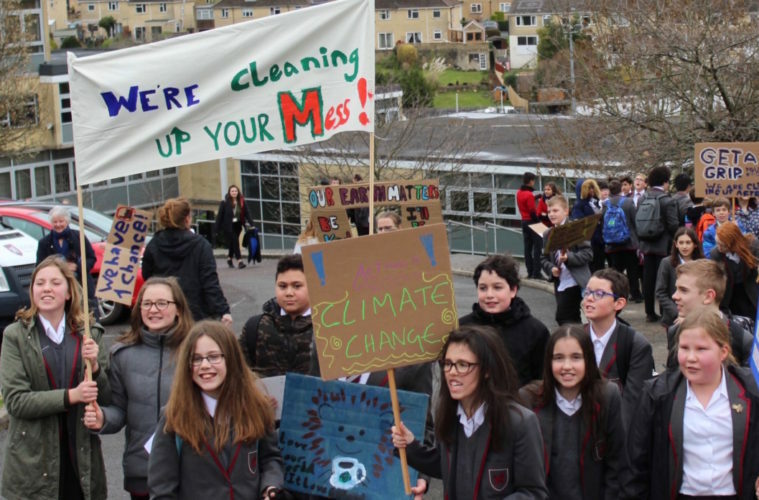 The students of St Mark’s School in Bath made their voices heard this afternoon in a spirited and enthusiastic demonstration in support of the climate strikes being held across the country. Mr Ash, Headteacher, added he was proud to lead a school community which supports and informs students in their education and ambition for a better future. 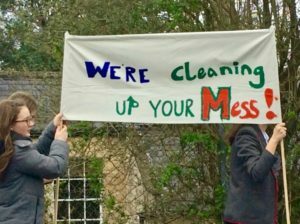 The demonstration is part of a surge of interest on environmental issues across the school over the last year. This includes a weekly Eco Club Group that meet at lunchtimes to discuss environmental impact and initiatives to reduce the school’s environmental impact. Among the results has been ‘Switch Off Week’ where the students put up posters and reminded staff to switch off monitors and lights when not using them, and more recycling bins and containers in communal areas. 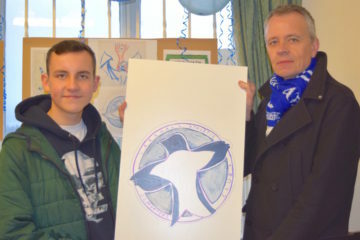 This year also saw St Mark’s being invited to participate in the 11th B&NES Youth Climate Summit hosted by King Edward’s School where the students met with local organic food producers, heard from suppliers of sustainable energy and took part in a pledge-making exercise to agree targets set for the school. These targets include getting rid of single-use crockery and cutlery, and investigation of the use of solar panels on the school site. Students also heard an assembly this week from its Eco Club Leader Miss Buckley, who discussed the issue of climate change and the global initiative by young people to bring their concerns to the forefront of the governments’ attention.